While this is a protectionist view, it is also a product of both domestic and global circumstances. Given the discontent over lack of jobs and agrarian distress, with the general elections less than a year away, this cannot be an opportune time to throw open sensitive sectors such as dairy products. If the RCEP countries are keen on a slice of India’s market, they must sweeten the deal. The push for trade blocs has acquired a new urgency, with the Trump administration unleashing a trade war of sorts against China and even the EU. The RCEP countries, which account for 25 per cent of global GDP and 30 per cent of global trade, could act as a countervailing influence. India too has reversed its years-long policy of reducing tariffs by raising them across the board in the last Budget. Meanwhile, Malaysia’s Prime Minister Mahathir Mohammad has mooted an ‘East Asian Economic Caucus’ to offset China’s economic might. 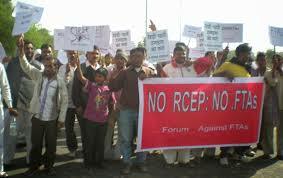 India should seriously consider the impact of any exit from RCEP on its links to global supply chains. The East Asian Tigers were, like India, remarkably protectionist economies, but they opened up at the right time, and at the right pace. India could still learn a few lessons, given its botched experience in industrial development.